I believe military spouses can be super successful if they just get rid of what doesn’t serve them and believe in themselves. Sometimes there is so much on our plate as a military spouse that we can’t imagine how to fit in success. We want better health, more wealth, and cleaner closets but we don’t have the time or energy to make even 1% changes, or so it seems. I am here to promise you that if you decide to be successful, pockets of time will start showing up, but it requires some faith! The best predictor of future performance is past performance. So, by focusing on your past accomplishments, you really set the stage to attract more achievement toward you. Including this important aspect in your mission statement thus allows you to more easily make progress toward reaching both your seasonal and long-term goals regarding health, wealth, and relationships. Plus, this progress will be made in a way that works best for your individual needs and aptitudes. Once you have completed this assignment and formed the basis of your mission statement, try reading your paragraph out loud. You may need to tweak it a bit to make the language more positive and personal, but don’t give up. Remember that you can continue changing your mission statement over time so that it best fits your current, shifting needs. Steps to creating a “go for it” statement! Take out a piece of paper and list five personal accomplishments—things of which you are especially proud—in a single sentence each. For each item listed above, describe the habits, skills, and abilities that allowed you to succeed. Try to keep each answer to a single sentence, if possible. This brevity will make it easier to turn these ideas into a mission statement in the end. Make sure not to word things negatively. I had a client today that said, “I wouldn’t try and be my son’s friend, I try and be a parent.” You don’t want anything that feels like a don’t so I might reword that for the client and write “Understanding role clarity is key” as positive statements are easier to apply to a mission. Combine these last five sentences to create an entire paragraph. You may need to do some editing to ensure that the statement makes sense and is worded in a positive manner but you are nearly there! Cross out any repeated items and rewrite the revised paragraph—this will be your new mission statement, your ‘go for it’ permission in military life. I can’t wait to hear from some of you that want to work one on one with me. Don’t forget to sign up for my decluttering may webinar so you can finish up your spring cleaning season and really begin to soar. 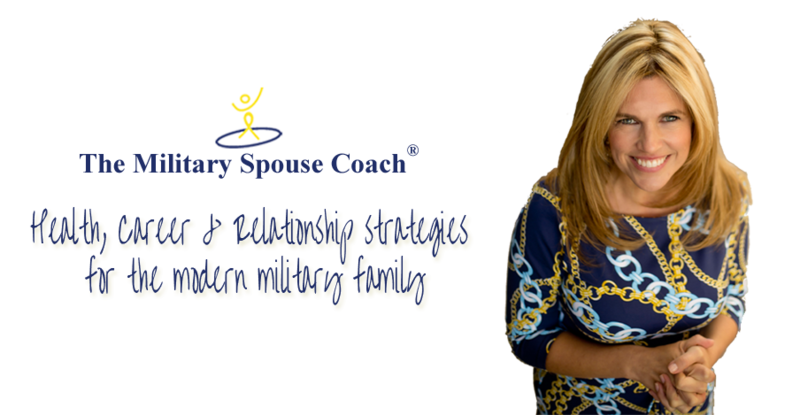 Share the post "I Believe in Military Spouse Success"